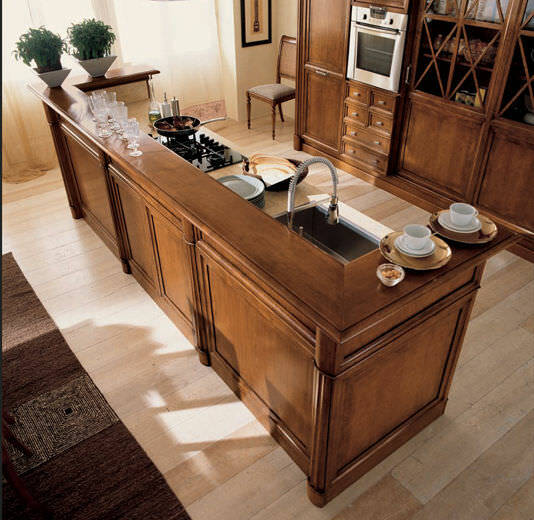 Canova kitchen design is a happy union between classicism and rationality. A rhythmical connection between space and material, a never ending view of functionality and elegance beyond style. 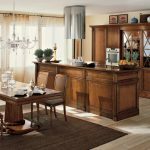 In the “Canova” kitchens technology fits into a classical style, in a place of extraordinary beauty where past and present, history and innovation, merge for the body and soul’s pleasure. 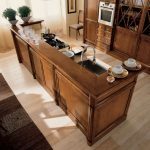 Canova kitchen collection, made of solid Linden. Fronts made of solid cherry or walnut, glazed. Drawers inside of beech wood, bonded connection “dovetail” – soft closing. 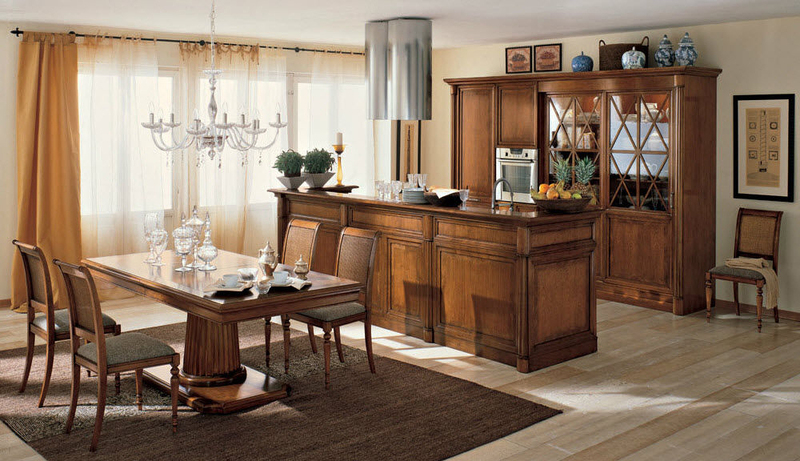 Canova collection available in several different wood finishes.